Fortunately (or unfortunately), new surveys were released that finally gave us something to buzz about. Take a look. Okay, maybe Canadians don’t love debt, but we sure do have a lot of it! Three new surveys released by BMO, CIBC and Manulife all support the fact that Canadians have a lot of bills to pay, with mortgages at the top of the pile. BMO’s Annual Debt Report found that the average Canadian household debt is up 6% to $76,140 in 2014. Household debt increased in each region across Canada, except for the Prairies and Ontario. Albertans reported the highest levels of debt at $124,838, which is kind of perplexing considering Calgary and Edmonton have some of the most affordable housing markets in the country relative to income (which would imply a reduced need for mortgage debt). In fact, those residing in Alberta have nearly twice the average household debt of those in Ontario, home to the second most unaffordable housing market in the country – Toronto (with Vancouver being the most unaffordable). Meanwhile, a CIBC study found that Canadians expect, on average, to be mortgage-free at 58. The study also reports that Albertans expect to be mortgage-free at 55, while British Columbians fear they won’t be able to pay off their mortgages in full until they hit 66. These expectations fall more in line with current house prices and corresponding mortgage debt. When you think about some of those survey results, it’s not really surprising to see that the condo markets are experiencing extremely active months. After cooling down in 2013, Toronto’s condo market is booming once again. New condo units for sale increased 94% from a year earlier to 2,588 in June, which is also 19% higher than the 10-year average, according to RealNet Canada. Furthermore, in Calgary, there are now 2.42 new dwellings being built for every 100 people, according to research by BuzzBuzzHome. The company reports that Calgary has, by far, the most construction relative to its size. Calgary also had a record-setting resale market in July, with the highest number of MLS transactions ever recorded, beating the previous July record set in 2005. 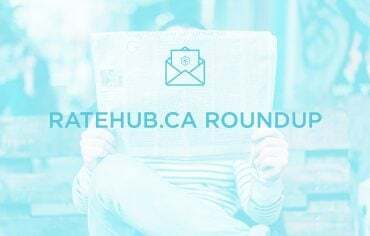 Each Ratehub.ca user who submits a request to connect with one of our mortgage brokers is invited to leave a review for them and be entered for the chance to win a $50 Starbucks gift card. Once a month, we randomly select a winner. June and July’s winners are Rick Douglas and Kiel Hume, who left glowing reviews for Mortgage Emporium and Tridac Corp. – The Mortgage Centre, respectively. For your chance to win, make sure to leave a review for your mortgage broker! Debt is on everyone’s mind as interest rates tick upward and dollars fly out of your bank account this holiday season. Here are some personal finance headlines you may have missed last month.